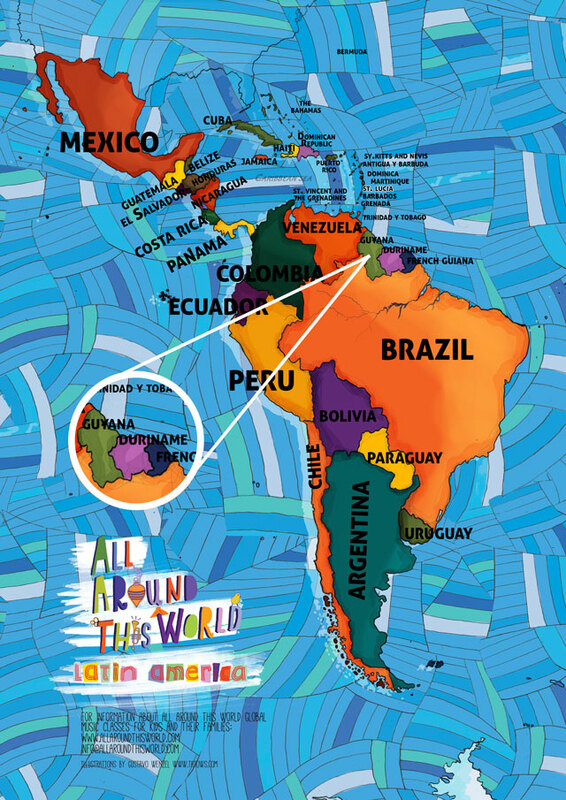 All Around This World’s exploration of Latin America includes sing-along, dance-along classroom and homeschool lessons about the Guianas for kids . 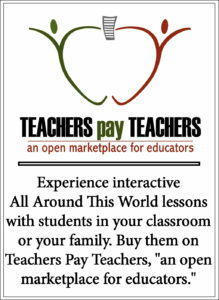 . . Meet the world through music –“come to class” with Jay. This week in music class All Around this travels to three countries that are not exactly on the main route of most American tourists to South America: Guyana, Suriname and French Guiana . . . Hooray! Historians of South America often group these three extremely diverse countries together because they all used to be part of “Guyana,” a small stretch of land on South America’s northeastern coast that Spanish, French, Dutch and British all tried to control for centuries. Now the three countries are separate, though not all entirely free from their European “friends” — Guyana is English-speaking and independent (as of 1966), Suriname is Dutch-speaking and independent (as of 1975), while French Guiana is French-speaking and still under French political control. In class we have some sing-along, dance-along fun from the Guianas for kids.